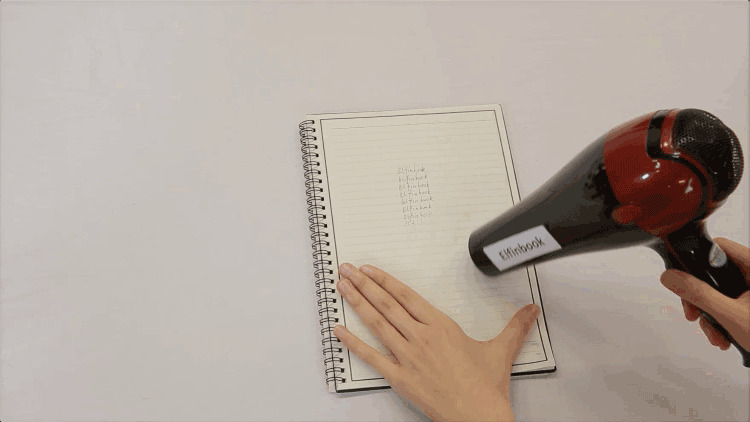 With this notebook, you don't need your simple pen & paper anymore! It has the touch and feel of a standard notebook, yet it is endlessly reusable! You will never run out of paper. Simply draw/take notes and if you don't need them anymore or you need the space, simply wipe it off with a microwave, hair dryer, wet cloth or a simple eraser! 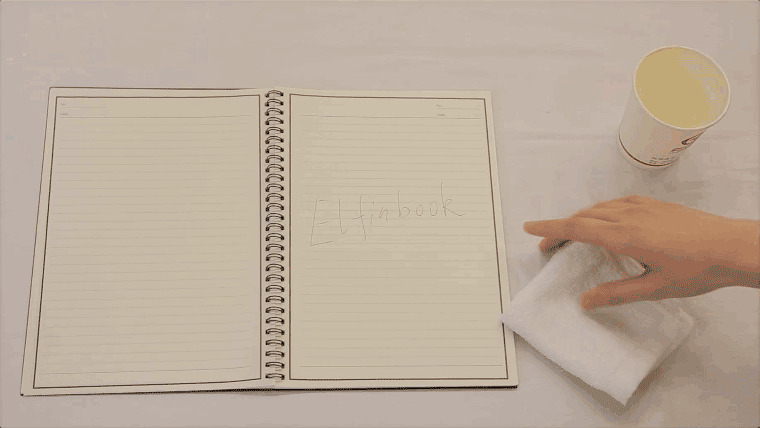 With the application "Elfinbook", you can scan, store and safely upload all your notes and drawings on a cloud, so that they will never get lost. fully compliant with the description, works as stated application, camera sometimes focusses, but it's carping. I am very satisfied with this notebook. Nice quality, perfect size, wtiting and drawing is very pleasant. I don’t have microwave, but normal whiping works perfectly. And the price is so nice! I was looking for elfin book on amazon and couple other sites, but I am really glad that bought it here. Delivery took 3 weeks or something like this, there was trecking number. Highly recommend! Perfect, product arrived as described. Well packaged. works perfectly, is small the enough for loading easily and the workmanship is perfect. and in excellent condition time come to order. write, as promised all erases. thanks to seller. The package arrived quickly in a very careful packaging. The erasable notebook is pretty, the paper nice. The text easily fades with a slightly damp cloth. I have not tested the microwave and hair dryer yet, for the moment my cloth is enough for me. I also did not test the App. I hope it works well. I will make a comment as soon as my experience is complete. Product arrived well packaged and quickly. The notebook itself is nice and works good with the supplied pen. Haven't tried the microwave method. I have been using it with Evernote app and it works well. Good contact with the seller. He answered my every question. The product is in line with expectations. If someone is looking for a notebook, I recommend it very much. Great, fast shipping! Came in 18 days to the United States. Notebook works best with Pilot Frixion pens and can be wiped with water and a rag. creative notebook erases ink, through app quite comfortable to do's screenshots ". Elfinbook is great! Comes with VIP code to get full premium features on app. Took around 1 month to arrive to the UK. I am satisfied with the product. Its very interesting and useful. Perfect notebook for lifetime.Recommended.I am very satisfied. Came in pretty fast without any damage. Tested it a bit and all seems to work great..
goods quality, very fast shipping excellent, recommend! excellent of product quality, came quickly. excellent seller, recommended!